Future Focused Education envisions schools as sites of innovation and opportunity, where students become the creators of healthy and more prosperous communities. Faced with challenges such as slow economic growth, high unemployment and tough realities for many communities, Future Focused Education is dedicated to remodeling education to meet the unique needs of communities. From founding and growing the Leadership Schools Network, to building the Future Focused Internship Program to connect the dots between promising students and forward-thinking employers, Future Focused Education is propelling evidence of innovative teaching and learning that will drive education and schools in new and important directions. Advancing the best education for the students who need it most. 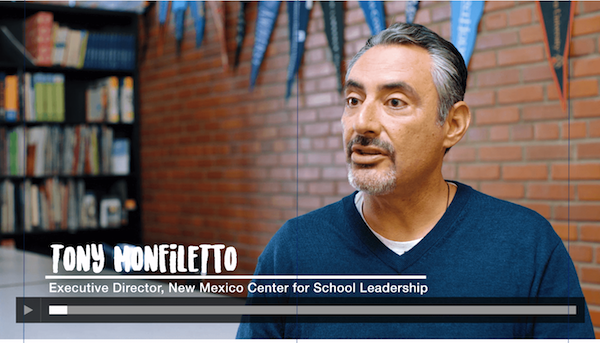 Video courtesy of ABQ Innovation Central.